“A conference interpreter renders verbally in one language a statement spoken in another language at a formal or informal meeting or in a conference-like situation. Professional conference interpretation may be consecutive or simultaneous regardless of the length and/or complexity of the original statement” (Gercek, 2008). “Conference interpreting is not merely a question of repeating words or phrases in another language, or a matter of code switching. It is a highly complex activity that requires the interpreter to simultaneously listen, analyze, comprehend, translate, edit and reproduce a speaker’s speech in real time, while looking at the speaker to observe the non-verbal signals of his (her) message, as well as the reactions s/he arouses among the recipients of that message. Not only is the content of the text unrevealed as the interpreter proceeds, but the speaker’s underlying intention may also remain obscure, since perceiving it requires larger chunks oftext than are available in real-time oral delivery” (Causo, 2011). “To interpret is first and foremost to understand the intended message perfectly. It can then be detached from the words used to convey it and reconstituted in all its subtlety in words of the target language. The goal of conference interpretation is a relatively smooth presentation of the cognitive content of the message, with the interpreter extracting the ideas from the oral discourse and reproducing them in an appropriate formand register in the target language” (Diriker, 2012). “Intralingual translation, or rewording (an interpretation of verbal signs by means of other signs in the same language)” (Bassentt, 2002: 23). “Intralingual translation or interpretation of verbal signs by verbal signs of the same language (sign system). The transla-tion within a system of signs is related to paraphrasing, changing of genres and discourses” (Torop, 2002). “Intralingual translation is translation which takes place within a language with language, presumably, referring to a national language such as Danish. So, intralingual translation is ”putting something into different words”. Therefore, it could be said that synonymy is a key issue in the production of intralingual translation. However, in this connection, Jakobson stated that synonymy cannot ensure complete equivalence (Jakobson, 1959: 114). So even though a word substitutes another word, the meaning conveyed is rarely, if ever, exactly the same. As a result, equivalence in meaning is one of the problems in the production of intralingual translation” (Christensen, 2012: 12). Christensen, C.F. 2002. Translation students’ ability to produce intralingual translation: A comparison with communication students. Denmark: Aarhus University. Gercek, E.S. 2008. “Cultural mediator” or “scrupulous translator”? revisiting role, context and culture in consecutive conference interpreting. Ghent: Pieter Boulogne. Causo, J.E. 2011. Conference interpreting with information and communication technologies experiences from the ruropean commission DG interpretation. Guildford: University of Surrey. Bilic, V., at. all. 2010. The conceptual mapping model in consecutive interpreting teaching. Heidelberg: T21N. Vandepitte, S. 2001. Anticipationin conference interpreting: a cognitive process. Alicante: Revista Alicantina de Estudios Ingleses. Stockinger, P. 2003. Semiotic of cultures: culture, language and traslation. Paris: Universitat Bayreuth. Tso, W.B. 2010. An explorative chapter on translation and translation studies. Brimingham: The University of Birmingham. Torop, P. 2002. Translation as translating as culture. estonia: University of Tartu. Vandepitte, S. 2001. Anticipation in conference interpreting: a cognitive process. Revista Alicante: Alicantina de Estudios Ingleses. Zaeri, A.A. & Zohreh Rashvand. 2011. The effect of interlingual and intralingual, verbatim and nonverbatim subtitles on l2 vocabulary comprehension and production. Finland: Journal of Language Teaching and Research. 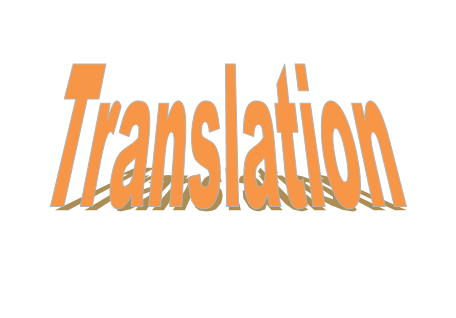 1 Response to "Pengertian Conference Interpreting dan Intralingual Translation"